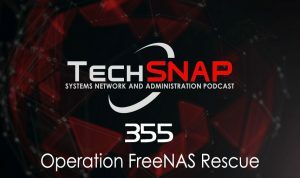 We save our FreeNAS Mini from the edge & perform an emergency migration to much larger hardware. Plus 12 tips for secure authentication, the future of network security where there is no LAN, a botnet exploiting Android ADB & your questions. Account management, authorization and password management can be tricky. For many developers, account management is a dark corner that doesn’t get enough attention. For product managers and customers, the resulting experience often falls short of expectations. eSata vs new Hardware rig. Staged upgrade, move the USB Internal header drive FreeNAS drive. Slide in the new disks, and power it up! After it booted, and we verified it saw the drives.. It was time to create our pool.